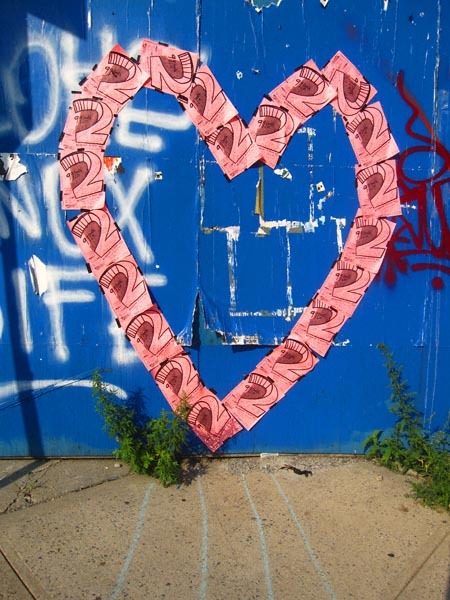 When I saw this artful arrangement of fliers on Broadway today I simply had to see what it was advertising. Here it is. 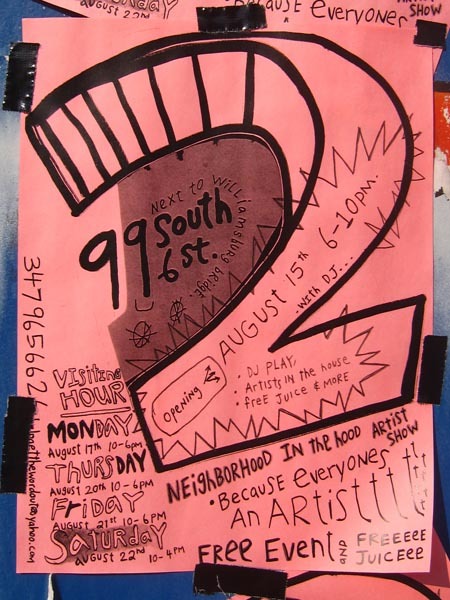 Apparently tomorrow, August 15, from 6:00 – 10:00 p.m., there will be an art opening at 99 South 6 Street featuring DJs, art and “free juice & more”. Intriguing— and the price is right! August 15, 2009 starting at 6:00 p.m.